I was shooting this evening for the P.R. department of then Columbia Records. It was at the Universal Amphitheater and I remember David Geffen was somehow involved with the event. Back then, Michael did not travel with a gang of bodyguards and umbrellas. 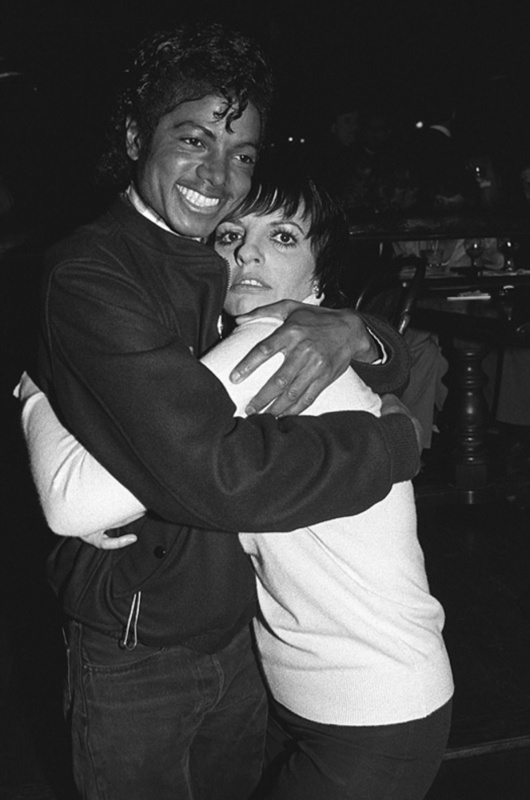 Liza had been performing that evening and she gave Michael a bit hug just for my camera.